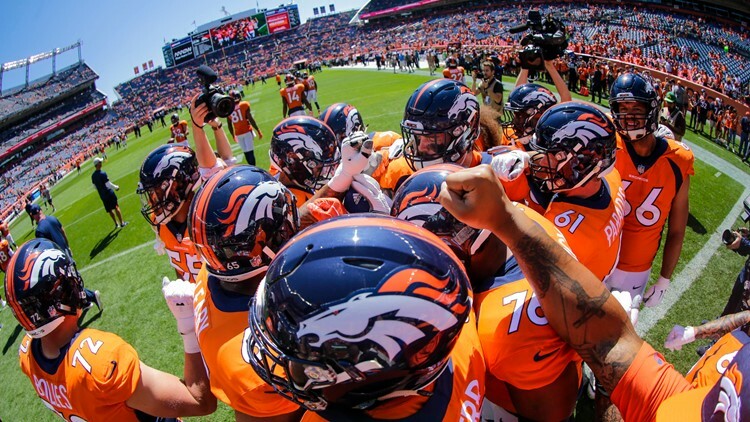 Broncos mailbag: Isn't offensive line still a need? 9NEWS Broncos Insider Mike Klis answers your questions and addresses the Callahan signing and the Broncos salary cap situation. COLORADO, USA — Going to try a shorter mailbag as many of the letters had questions about the same topics. Denver Broncos guard Sam Jones during the first half of a preseason NFL football game against the Arizona Cardinals, Thursday, Aug. 30, 2018. Mike, the Broncos lost three O-linemen to free agency (possibly 4 if they don’t sign Jared Veldheer) and signed one. Don’t they need to pick up at least one more OL in free agency? 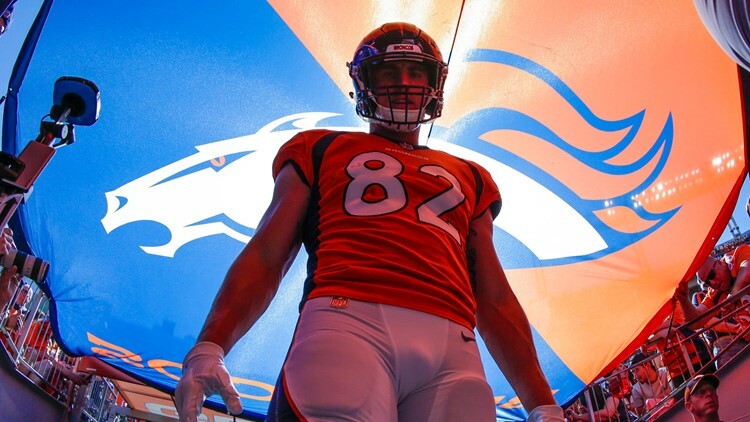 Steve – The Broncos are not finished addressing the interior of their offensive line. There are just too many question marks with left guard Ron Leary coming off an Achilles injury, Connor McGovern playing center when he is better at right guard, and Elijah Wilkinson at right guard when he was an undrafted tackle who converted to right guard because of injuries last season. Sam Jones, a second-year draft pick from Highlands Ranch, will compete for one of those spots, but the interior questions are why the Broncos tried to re-sign the versatile Billy Turner. In the end they got outbid by Green Bay with a $7 million-a-year deal. 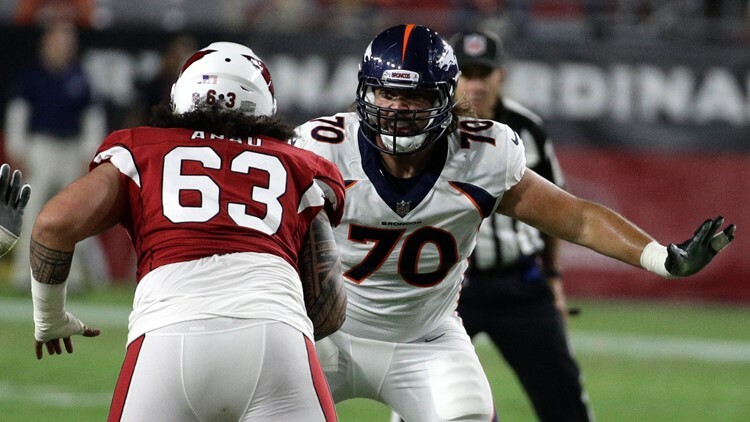 The Broncos also tried to sign Kansas City center Mitch Morse until Buffalo made him the league’s highest-paid at his position, and they made a low-rate, “look-see” one-year offer to Matt Paradis, who took a much better deal with Carolina. There is plenty of time. They could sign an interior lineman in the next couple of weeks. They could address these issues in the draft. They could also evaluate what they have in OTAs and then decide what needs an upgrade. Bryce Callahan returns a punt for a touchdown against the Minnesota Vikings, Sunday, Dec. 31, 2017. I knew Bryce Callahan just made too much sense. Watching the conference, this staff and even QB is day and night from last year. Jon – Callahan was a Fangio fit, although I am a little curious why the Broncos decided to lead the league in 5-foot-10ish, elite slot corners. Chris Harris Jr. is a fabulous slot defensive back who is 5-foot-10. Kareem Jackson is a fabulous slot defensive back who is 5-10. Callahan is a fabulous slot defensive back who is 5-9. All three rated in the top 10 last year as graded by Pro Football Focus. Elite, indeed. Harris can now stay outside, which is his preference because it allows him to better utilize his ball-hawking skills. Jackson can play more safety, which he has no problem with. 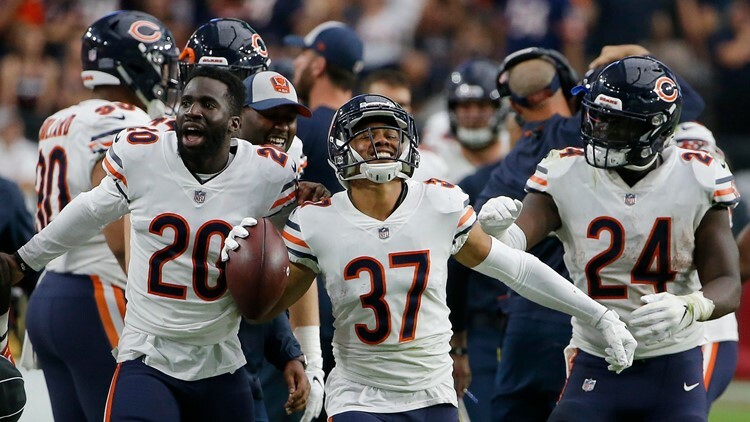 Callahan can help the entire secondary execute the plan of head coach Vic Fangio and defensive coordinator Ed Donatell after the trio was together with the Bears the previous four years. Secondary work isn’t just scheme and Xs and Os. There’s a feel and flow to it. When this guy move here, you drop back there. It helps when a player on the field can coordinate with the coaches on the sidelines. As for Joe Flacco instead of Case Keenum at quarterback and Fangio instead of Vance Joseph as head coach, this is clearly where Broncos’ general manager John Elway believes the most profound upgrades have been made. Put it this way: The biggest gripes from Broncos Country last season were, one, Joseph, and, two, Keenum. A distant third was either the offensive line or overall defense. The head coach and QB were changed, and therefore hope has returned. Jeff Heuerman waits for introductions before a game against the Seattle Seahawks Sunday, Sept. 9, 2018. Do you think we will any other free agents? I see we have about $15 million in cap space and need about $10 million for the draft class. Matthew — After the signings of Callahan, Jeff Heuerman and Zach Kerr, the Broncos have $12 million in cap space. So any free agent additions would have to come a budget price. This also suggests the Broncos might want to trade back from their No. 10 overall draft spot to No. 15 Washington or No. 13 Miami, who are both in the quarterback market. And if they do trade back from No. 10, I can also see the Broncos packaging a couple picks in rounds two through seven, and moving up a round. As it stands now, the Broncos have a crying need at receiver, interior offensive line, inside linebacker who can cover and interior defensive line. Much as they’ve got done this offseason, the Broncos still have work to do. Which shouldn’t be surprising considering they were 5-11 and 6-10 the previous two years. 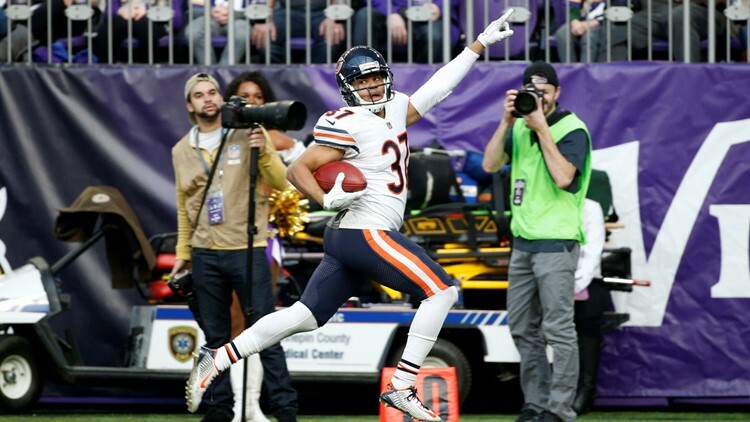 Chicago Bears cornerback Bryce Callahan (37) celebrates his interception against the Arizona Cardinal on Sunday, Sept. 23, 2018.